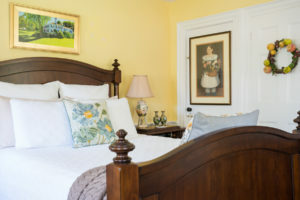 The Copeland Room earned its name from the historic building’s original resident, Senator George Copeland. There is an historic feel with 200-year-old wide plank floors, architecture, and period decor. 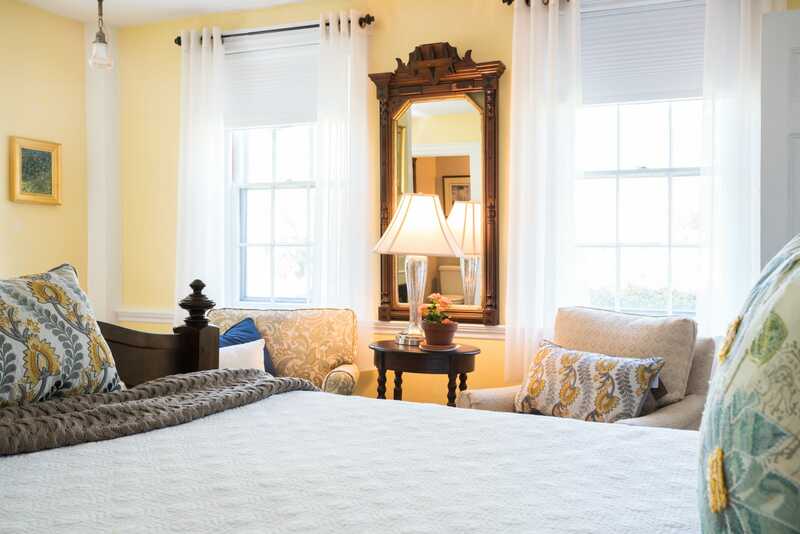 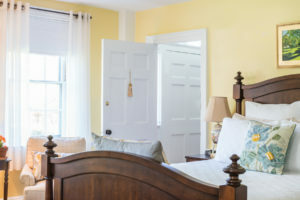 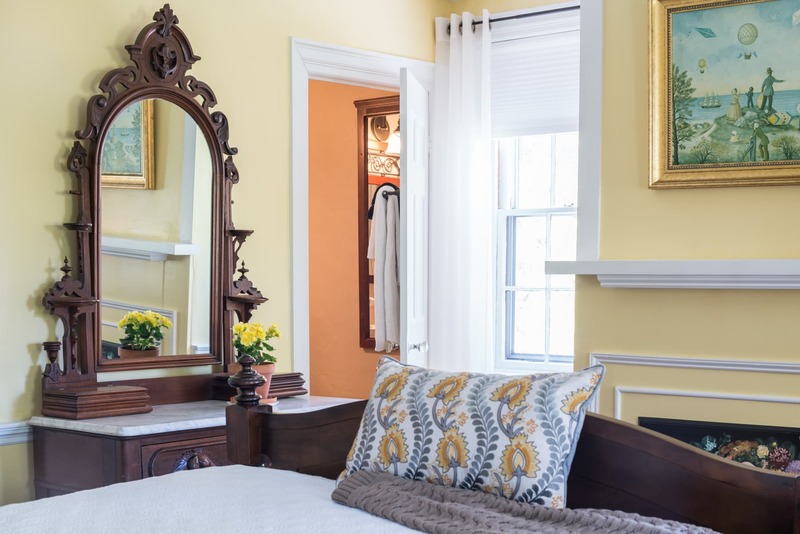 This room’s four windows and prime location in the front of The Main House gives way to bright and sunny views of the Old King’s Highway Historic District and our inn’s garden landscape. You’ll sleep well in the queen-size bed with crisply ironed cotton sheets. 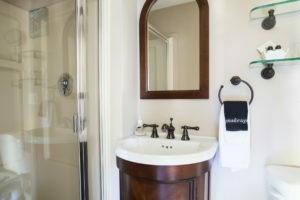 There is a small, private bathroom with a shower, bathrobes, and luxury linens and bath amenities. Additionally, this accommodation has a personal thermostat control, hairdryer, magnifying face mirror, iron and ironing board, high-speed internet / WiFi, large HDTV with premium cable channels, clock radio with USB charging ports, and daily housekeeping service to keep your room looking brand new.